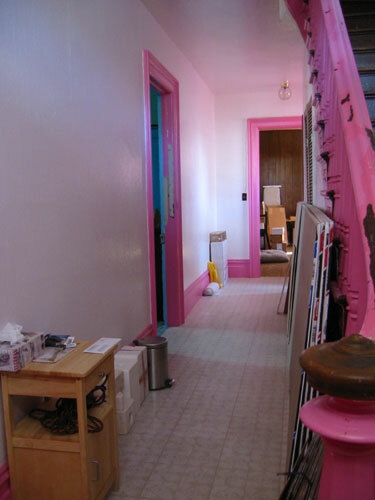 In all this talk about the Back Parlour, I don't want to neglect an important result of the completion of that one room, and that is the reclaiming of our nice wide open hallway. 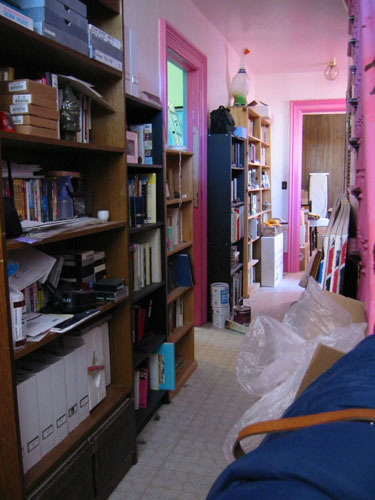 It's surprisingly echoy in there; I'm going to have put down a rug or something to make it less noisy to walk through. But right now I'm just savouring being able to walk two abreast in the hall without brushing up against the wall or a bookcase.